Wilsonville all everything athlete Johnny Ragin (6-2 205 Jr. H Back/LB) put an exclamation point on his portfolio Saturday scoring a 111.48 at the NIKE SPARQ Combine at Tigard High School. This was the top scorer among all 600 plus athletes in attendance, almost ensuring that some of those schools on the verge of offering would be ready to pull the trigger. Ragin is the epitome of a kid that you want to build a football team around. His 4.0 GPA speaks volumes about his focus off the field, and his performance this past weekend along with our NEI/Barton Elite events should get him over that no offer predicament. Immediately after his record breaking day we spoke with Johnny as he says, " I had a great day at the NIKE SPARQ and a lot of my teammates performed very well too, Ive been training a lot this off season and to see it pay off made me very happy". Ragin was the featured back on our NEI (South) team that went to Vegas in March to compete in the national tournament, and he never missed one of our NEI/Barton elite workout sessions during the winter. His work ethic speaks for itself, and everything is finally coming together. 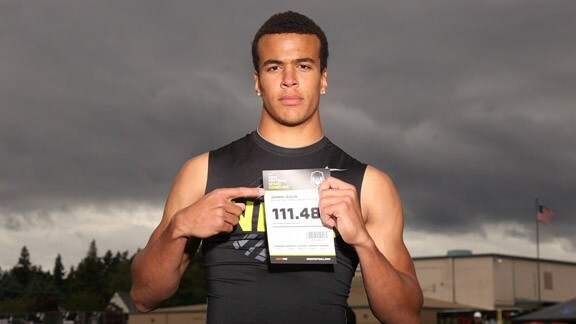 "I posted a score of 111.48 which earned me the #1 spot at the event, and the overall best powerball throw of 42 feet. He continued, " I ran a 4.71 laser 40 yard dash, a 4.28 shuttle, along with a 33.8 vertical". Taylor Barton and myself have spoken with countless schools over the last few months about Ragin , and we feel like this could be what gets him over the hump. Ragin will team with maybe the Northwest’s top wide out Tanner Shipley (6-2 185), recently offered by Oregon St and Wyoming, to lead a Wilsonville group that will most likely have a class 5a #1 ranking to start the season. 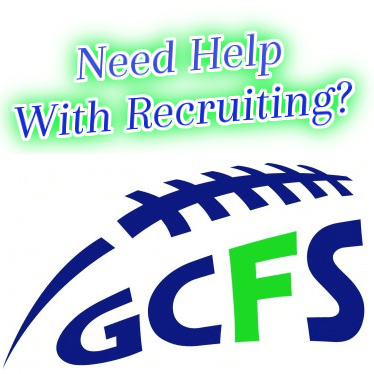 Head Coach Adam Guenther is considered one of the top minds in the northwest and this could be a very special year. Johnny has been a loyal NEI/Barton kid and we can’t say enough good things about him. He will have multiple schools to choose from when all is said and done, and as always we will bring you the news first.